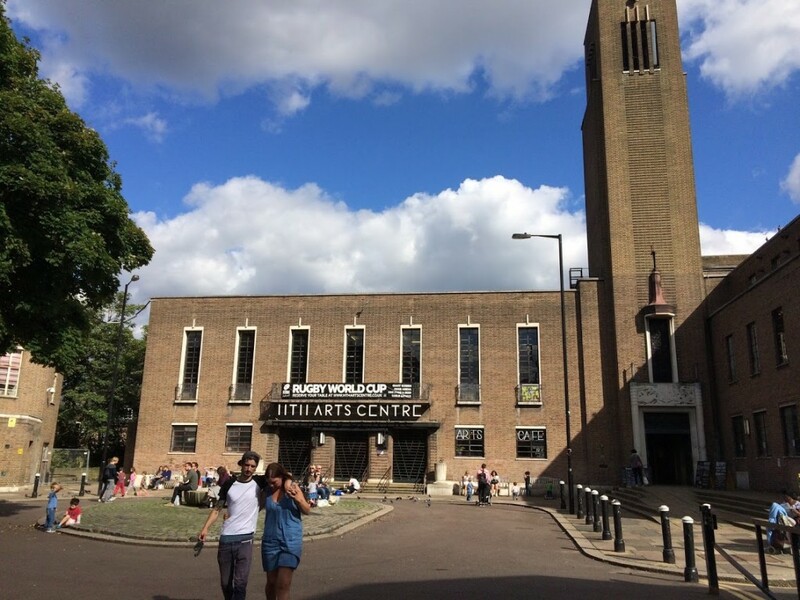 With the final piece in place*, the ownership of Hornsey Town Hall and site will formally transfer to developers Far East Consortium (FEC) in the next few days, on a 130 year lease. After two decades of uncertainty and deterioration this is a rather momentous event. 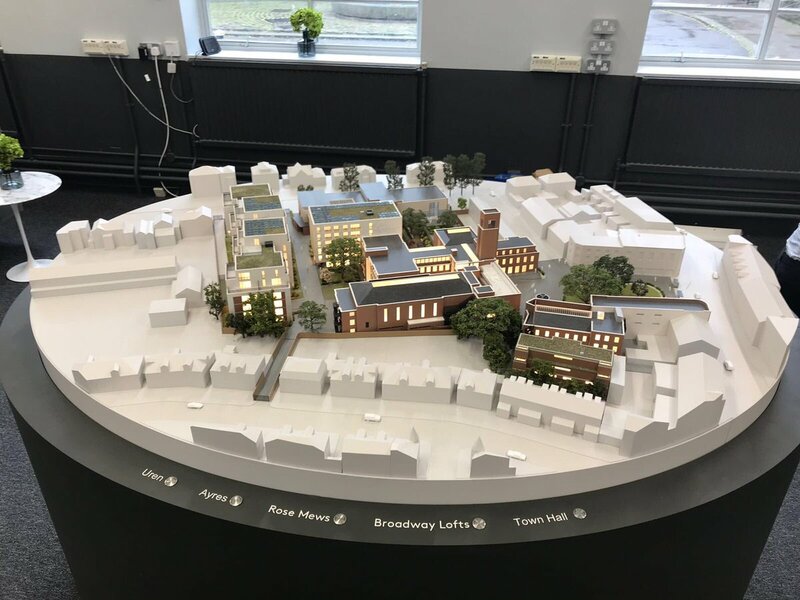 We’ll leave the grand overviews to others, but thought a brief update of this crucial Crouch End development might be helpful. *Planning permission was confirmed as of April 24th. Edit. The contract and lease were signed on Wednesday May 2nd. 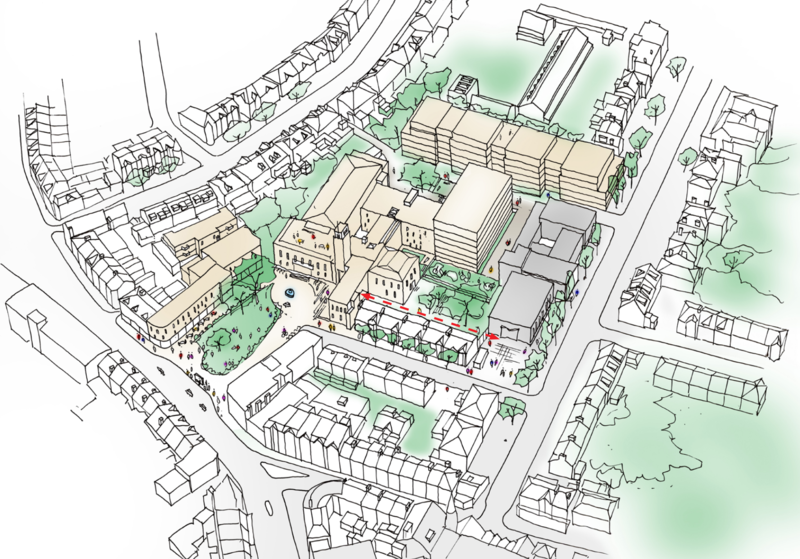 For those new to this, … FEC’s Hornsey Town Hall project is a £140m mixed development, quite a big deal for Crouch End, with significant potential for economic and cultural regeneration. I guess the community will be the judge on whether the developer’s plans and the work of Make Architects measure up to the ‘dignity and presence’. FEC plan a 67 room hotel, run by subsidiary Dorsett Hotels, and an arts/creative hub and venue operated by Time+Space Company – this incorporates the heritage spaces. The Town Hall public square becomes a privately owned space (I don’t really know why) but will remain publicly accessible and have a complete redesign. The development also features a number of bars and restaurants. The enabling residential build is 146 flats, including two large blocks in the car parks to the rear. This includes 11 affordable (social rents) units onsite. There are significant issues of interest to the local community, who remain important stakeholders in all this, and the Forum has conducted a number of consultations to produce our priorities – conservation of building and enhancement of conservation area; conversion of heritage assets to productive use; support for local economy; and community access to public spaces. The Forum strongly objected to the height of the blocks of flats – we still do, though we respect the determination made by the planning authority. The planning decision is here. 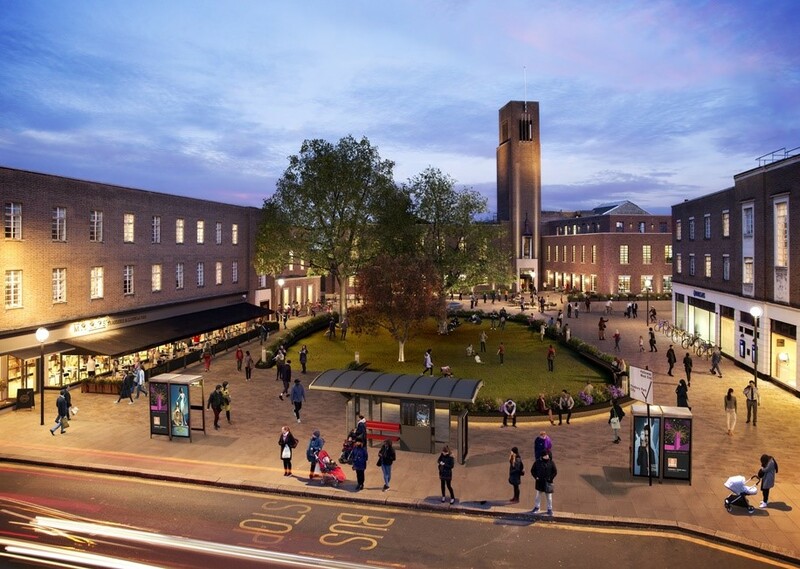 More recently we’ve highlighted issues for the designs and uses of the public square (discussed here), and the viability of an arts centre (is it an arts centre? – discussed here). The availability of office space suitable for small local businesses remains a concern – we will continue to press for such provision across Crouch End. Further HTH posts are here. FEC and their PR, Newington Communications, are currently preparing a new community engagement plan. 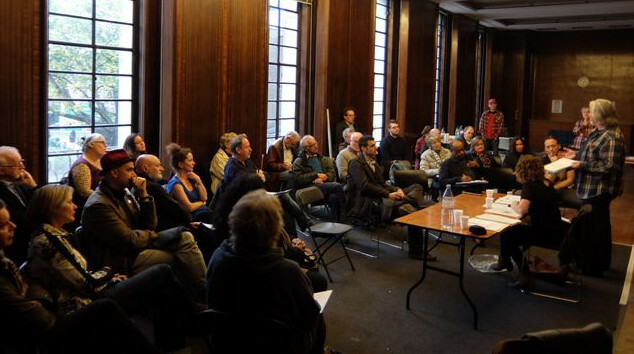 This will encompass both aspects of community interest, providing – a Community Liaison body as a forum for residents affected by or interested in the construction and development of the site; and a Community Steering Group, organised by the community arts operator, the Time+Space Company, charged with the future development and operation of the ‘community use spaces’ of the Town Hall. Read more on community groups. Please do register an interest if you wish to the new owners on their website. Or indeed with the Forum – we aim to maintain contact and regularly report on developments. The RESTORATION is the clear priority for bodies such as Historic England. Only 5.8% of listed buildings are at grade II* and this is a building on the ‘at risk’ register. Should things go to plan this is the big success of Haringey’s process – it’s also the biggest bill. We trust the phased development means the restoration is completed on schedule, as promised. A SUSTAINABLE FUTURE for the building is clearly an ongoing issue, and we hope the hotel is viable and the arts and workspace project succeeds. Each of the elements requires the success of the whole. PUBLIC ACCESS. Although the possibility of community ownership was rejected by the Council 3 years ago, the Community Use and Access agreement – attached to the lease – is intended to secure ongoing public benefit of the building. We need to engage with the operators to see what this means in practice. The PLACE-MAKING potential is clear, but the mix needs to work. Issues for the local economy such as loss of employment space, and support for small businesses remains a concern. Of course Haringey’s additional objective was simply the avoidance of risk and further expenditure (scarred by their experience with Alexandra Palace no doubt). And this is still a risky project. 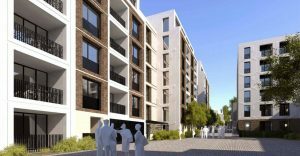 The vast majority of property developers chose not to go near this offer with a bargepole, and the fact that Haringey found someone with deep pockets able and willing to see the opportunity is an achievement. Affordable housing was not prioritised. That was a decision Haringey probably came to regret politically, but is still arguable. With costs so high something had to give, and the priority had to be the restoration. As it turned out, and comparing like with like, this project is delivering 26 affordable units (11 onsite, Haringey are providing 15 more with their capital receipt), whereas other bidders were only offering 4 units – the same as identified in the old 2010 scheme. 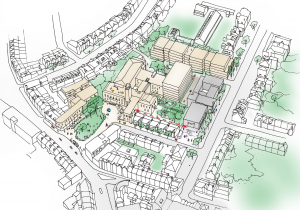 The Mountview scheme had zero. The FEC project may not be perfect, but is an improvement. Public authorities, subject to government guidance, have the right to dispose of redundant assets. It is true to say that alternative solutions for HTH were available, but we are where we are – and Crouch End may have landed on its feet. The proposed restoration is impressive (almost all spaces are retained – hence the support of Historic England), the hotel appears to offer a sustainable revenue stream for the building (fingers crossed), an arts centre of a kind is still part of the project (it’s important to remember having one was never a condition), lots of bars and restaurants are promised for the local swingers, and the building will be generally open to the public and available for community use (even if details and prices are to be confirmed). Offloading public assets, including London’s Town Halls, isn’t unusual these days – there are scores of them: Bethnal Green Town Hall’s a hotel, Friern Barnet a dull block of flats, Ealing have just sold Southall Town Hall to a Hindu temple, Marylebone’s the new London Business School, Fulham seems lost to retail, and most egregiously Wimbledon became a Tescos. Evidently anything goes, so we hope the Crouch End variant proves a success. PS. The marketing suite is due to open shortly in the west wing. Go and have a look at the scale model. g) providing telephone contacts for resident’s advice and concerns. The terms of reference for the Liaison Group should be submitted to the Council for approval prior to commencement of the development. The Liaison Group will meet at least once every month with the first meeting taking place one month prior to the commencement of development and the meetings shall become bimonthly after the expiry of a period of four (4) months thereafter or at such longer period as the Liaison Group shall agree. Reason: In order to ensure satisfactory communication with residents, businesses and local stakeholders throughout the construction of the development. (vii) allowing and retaining flexibility to extend Community Uses and Community Access beyond the Minimum Community Use Spaces and the Minimum Community Access Spaces. This is a very good, fair assessment of the the town hall’s future (and an excellent plug for my brother in law, Municipal Dreams – his book on council housing is just out). Can some one explain ?!!.. The conservation order on crouch end states that nothing can be built in th conservation area that block the view from the top of the town hall tower nor can it be demolished. So ho has planing permission been granted that dose just this. I’m not sure I’ve ever seen such a restriction, and would it be likely to have a stipulation that the Town Hall can never be demolished?. Could you supply evidence? Also – the TH tower is still higher then the new blocks of flats. In 1662 pieces of the common land in the center of crouch end & on both sides of the Rd up to crouch hall & across where the pond was (the green was a pond which was later illegally fenced off & filled in).Pieces of the common land where not infrequently enclosed & built on without legal title ………. ……… At the general court-baron of George Smith, held at the Kings head on May 1820 by John Jenkyns,steward, the homage where John Gray, who found that Anthony Solsby, esquire, had encroached on the lords waste by taking a portion of the pond. It was ordered that the same be again thrown in to common land. Ofcourse it never was. There is also an old well in this vicinity ( built by same Anthony Soulsby again on encroached land) which caused great problems when sewers where later laid. It seems nothing has changed & this common land is still being disputed. 50 years ago maps where held in the library which showed all common land & the pond in central Crouch End. Unfortunately these maps where stolen some 25 years ago. But the bishop of London should have maps which show this as he once owned the land. So whatever the story after all Lake Villa was built on common land .this area is now the Town Hall. Can the evidence be found? The published title plans and covenants don’t seem to mention common land, and there’s nothing to indicate this on the available C18th and early C19th maps of the area.